#heidiswappsayilove you-media team blog hop! it is time to celebrate the month of LOVE. ahhh….good ol sweet valentines day. a time to indulge in sweetness, chocolate, strawberries….and more chocolate :). i am SO excited to be part of the #heidiswappsayiloveyou media team blog hop today. we all have had the best time creating handmade cards for those people that we LOVE. that we want to surprise with a little something…a kind word, a loving thought, a delicious treat. nowadays with so much technology at our finger tips, i still believe in the importance of "hand made". the reaction one receives when watching someone receive a handmade gift is truly priceless. it is a different type of magic that cannot be replaced by anything. no email or text can EVER be as touching as receiving an actual handmade card or gift. and plus…how FUN are they to create in the first place? that is definitely one of the best parts for sure. i had the best time creating this super fun and easy interactive card using the brand new (and amazing) colour magic card sets that are NOW available as part of the brand new heidi swapp "hello today" release. they are THE perfect choice as they are completely customizable. they can be a total reflection of YOU, your style, your art, your desire, your message. i also incorporated the FABULOUS freebie printable that heidi shared on her website last week. all i did was adjust the print scale to 60% to create this cutie pie accordion interactive mini. mine is left blank (so far) but think about all the options one can have to customize your valentine further….love messages, quotes, mini photos…SO many options! to transform my card with colour, i simply used pink and navy acrylic paint. i love using acrylics with colour magic products as they leave a fun "chalky" finish to your projects. on the inside i used my sewing machine to create a little pocket where i thought would be fun to either tuck in photos, messages, or even a little treat! to bind and hold my card together, i simply used a cute piece of string from my stash to tie it all together. as finishing touches i just had to use one of the SUPER FABULOUS "always" mini stamp sets that are also part of the new heidi swapp collection. this one is also SO perfect for valentines day too. i just LOVE it. and it's really perfect for any occasion. gotta love the love! speaking of love….we all need to send and receive it because honestly can we ever get enough? heidi has some fabulous surprises up her sleeve and all you have to do to head on to her site and check it out! 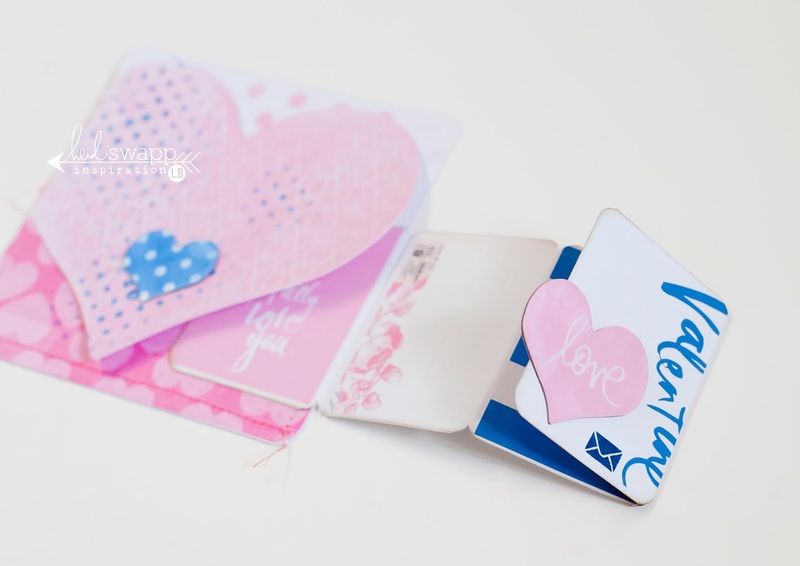 make sure to post instas of all your valentine inspiration using the hashtag #heidiswappsayiloveyou Next on the ‪#‎SayILoveYou‬ Media Team Blog Hop is Kim Jeffress! You are going to love what she has created! Here are the list of girls participating today! If you haven't already started with Heidi Swapp's project make sure you do! She has some freebies to giveaway as well! 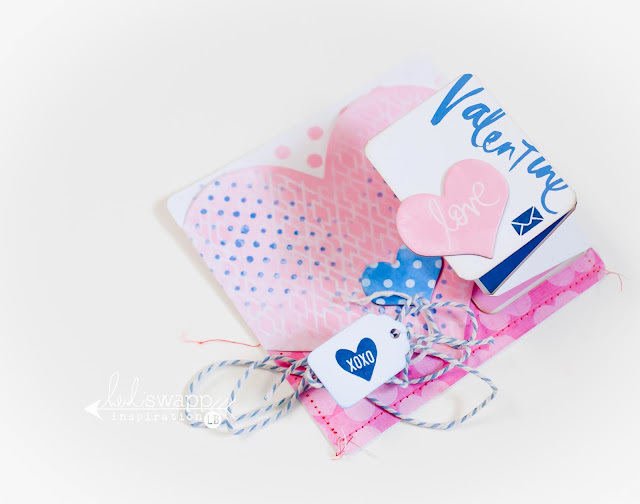 Blue and pink card....this is awesome! I love this colour combo and that fold out portion is so adorable!! I love how you added blue into the mix. Interactive cards are my favorite and you made this pine so fun and different - it it's great! Lindsay this is just so pretty, you have such an eye for colour combo I love it!!! Fabulous card and I love the blue, it adds a little something. Great project! That blue is so pretty with the pink!! Lovely!